If you’re short on time, but long for sun-soaked adventure, Royal Caribbean’s Sovereign of the Seas provides a different pace and a magical place. You’ll find something to satisfy your every whim, whether it be snorkeling with stingrays, relaxing on a beachfront hammock or bartering for local crafts at the straw market. This is assuming that you feel like getting off the ship. The Sovereign of the Seas sails year-round from Port Canaveral, Florida with 3 night cruises leaving on Thursdays and 4 night cruises leaving on Sundays. Each itinerary sails to Nassau, Bahamas and CocoCay, a private island reserved exclusively for Royal Caribbean guests. The 4 night cruises include an additional full day at sea. The Sovereign is a beautiful ship inside and out. The 1988 introduction of the Sovereign created a new type of cruising on vessels known as ‘mega ships.’ At the time of Sovereign’s introduction, it was the largest cruise ship in history and the biggest passenger vessel built in 48 years. This was the first ship to feature a sea-going atrium inclusive of glass elevators, as well as the first ship to truly deserve the title of ‘floating resort.’ The ship includes 1138 staterooms, 2 dining rooms, 1 cafe, 7 bars, 2 cinemas, 2 outdoor pools and whirlpools, a casino, a beauty salon and a fitness center and spa. If you have never been on a cruise, you can’t miss the bon voyage party on the pool deck. You’ll be overcome by an indescribable feeling when you are pulling away from the port, with the warm breezes blowing and the sun setting behind the port’s skyline. This is your first chance to mingle with fellow guests, enjoy the rhythm of the calypso band and maybe even do the limbo! It’s one of the best parts of cruising. Another wonderful part of cruising is the unlimited amount of entertainment and fine cuisine. If you enjoy food like I do, then you will be impressed with the options available on a cruise. For those who enjoy fine dining, each night an elegant five course meal with a wide variety of entrees is served in the main dining room. The service provided is exemplary with the waiters making it a point to learn your name and your dining wants and needs. For those who prefer a more casual dining experience, the Windjammer Cafe offers a buffet style meal with floor to ceiling windows offering gorgeous views from the bow of the ship. Finally, for those who prefer to dine in the privacy of their cabin, the ship offers 24 hour room service where you may order anything from a snack to that five course meal from the dining room menu. And if you thought the choices for dining were difficult, wait till you see what is offered in the way of nightlife! A night out on the ship is the perfect way to end the day. Whether you favor Broadway, the Las Vegas Strip or your own local watering hole, you’ll find it on the Sovereign. That is only the beginning. After dinner, spend the evening at the theater where you will find a different show nightly ranging from Broadway style revues to famous comedians. If the theater is not your cup of tea, try your luck in the casino where you can play blackjack, craps, roulette, Texas Holdem poker (pokerjunkie.com/best-texas-holdem.html) or the slots. Perhaps you would rather dance the night away in one of the themed lounges on the ship. Each lounge features a unique style of music from disco to classic rock or island calypso to swing. On second thought, you can provide the entertainment in the Karaoke bar. Before turning in for the night, take a moment to enjoy a nightcap under the stars on the pool deck. For some, the most enjoyable part of cruising is simply the experience of being at sea. There is no better way to enjoy this luxury than to take an evening stroll on deck where you can watch the twinkle of the stars dance on the water. Anyone in search of the perfect beach might very well start with the islands of The Bahamas, whose relatively small land mass belies the sheer quantity of its beachfront. Most beaches are pristine and unbelievably white, with sand so fine it feels soft to the touch. The beaches of The Bahamas are often coupled with shallow transparent water stretching for hundreds of yards out to sea, rising gently to sandbars before finally dropping into the depths. Those in search of something really special should check out the amazing reefs teeming with colorful marine life. 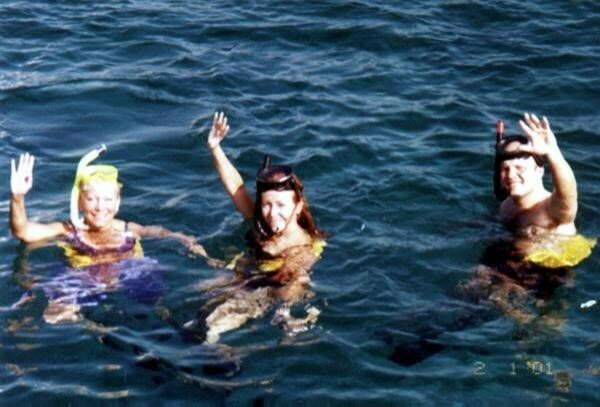 Snorkeling is the best way for the inexperienced to become acquainted with the stunning beauty of the Bahamian reefs. Equipment can be rented from the ship and snorkeling instruction and tours are available on both Nassau and CocoCay. Both islands also offer diving trips for the beginning and experienced diver. The island of Nassau offers an array of shore excursions which can be purchased on the ship. One of the most popular excursions is the dolphin encounter. This is the adventure of a lifetime for anyone who has dreamed of a personal encounter with a dolphin. You can have your picture taken while petting and feeding the dolphin in waist deep water. 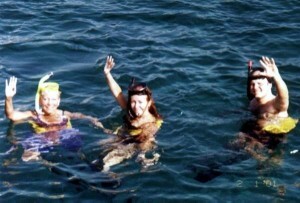 Another popular tour is the snorkeling trip to Stingray City Marine Park. On this tour, you’ll take a 30 minute boat ride to Blue Lagoon Island where you will have the opportunity to swim with stingrays! Not only can you swim with dozens of gentle stingrays, but you can touch them and feed them as well. For the partygoers, no trip to Nassau is complete without sailing on the Yellowbird party cruise. The Yellowbird is an 85 foot catamaran that sails through the harbor between Nassau and Paradise Island. You won’t find anyone sitting on this boat! With the island music blasting and the unlimited rum punch being served, even the most reserved people will get wild. CocoCay, Royal Caribbean’s private island is a 140 acre slice of Bahamian sand that is the ultimate fantasy island. This exclusive island has stunning white beaches, a myriad of water sports, including parasailing, snorkeling and diving, a barbecue lunch, tiki bars, a small straw market and a steel band playing island tunes. Here you can swim, play beach volleyball or just lie in a hammock all day. CocoCay has some of the best snorkeling in the Bahamas, as it is surrounded by a reef where you’ll find a sunken replica of Blackbeard’s pirate ship and a submerged plane. Since the island is private, there is no boat traffic anywhere in the vicinity. As a result, there is an abundance of marine life surrounding the island. It is not uncommon to spot stingrays, sea turtles and vast schools of tropical fish. Once you have finished snorkeling, a sprawling beach barbecue awaits you. After lunch, lay back on a hammock, sip on a CocoLoco (the local frozen cocktail) and write a postcard to the folks back home in the snow. Afterall, this is what a vacation is meant to be.